ATEX-Certified Combustible Dust Vac - the MDL15 offers the lowest compressed-air consumption on the market today. 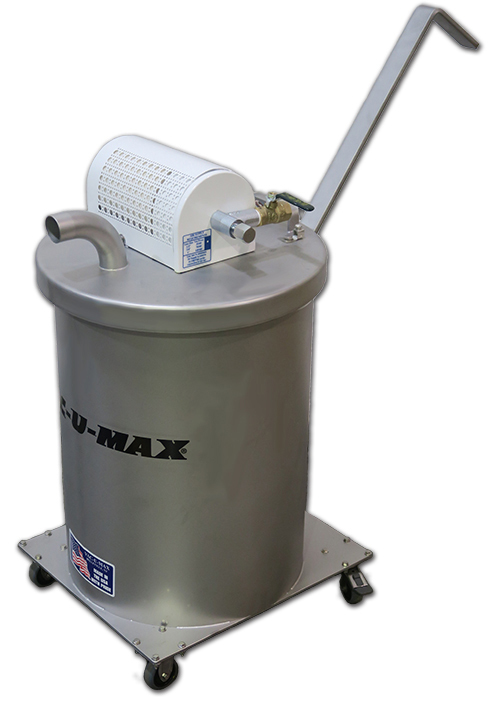 The MDL15 features a 15 gallon collection drum and VAC-U-MAX Venturi power unit. There are no expensive electrical components or moving parts, making it an "Intrinsically Safe System". System is available in 304SS or 316SS bead-blast finish. The MDL15 offers a reverse-air filter cleaning system and static-conductive PTFE Filter. Video file formats are available for download. Static-Conductive PTFE (Teflon) Coated Internal Dust Filter rated 99.9% Efficient @ 1 Micron. HEPA Filter option available. Tool Kit Universal, includes 2-bend floor wand, wheeled floor tool, crevice tool, utility tool with rubber nozzle. ATEX Certified Hoses available in 15' or 25' are offered as options. 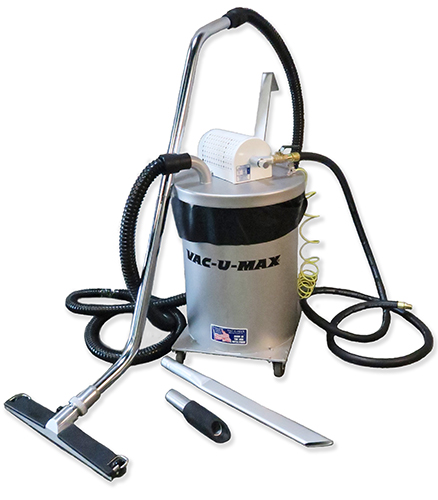 Typical industrial vacuum cleaning applications for the MDL15 include high volume clean-up of powders and combustible dusts from floors, walls, machinery and overhead surfaces typically found in the food, pharmaceutical, chemical and general manufacturing industries. The MDL15 is suitable for Class II, Division 2 environments. Bonding & Grounding: NFPA 77-2007 "Recommended Practice on Static Electricity"